In a thick bottomed vessel, mix the Tamarind juice, Tomatoes, Asafoetida Powder, Turmeric Powder, Salt, 2 cups of Water and the crushed ingredients from step 2. Now add the curry leaves and dry red chillies into the same pan and fry for a minute to prepare the seasoning. Pour it over the Rasam. 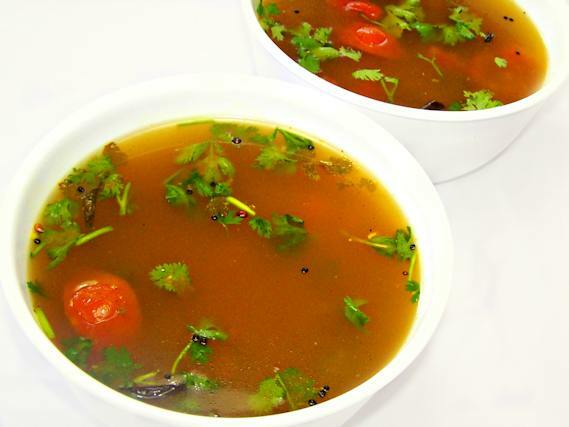 Garnish Rasam with Coriander Leaves and serve it hot.